FOUR more pubs and restaurants from across the borough have received gold awards in the Best Bar None scheme. 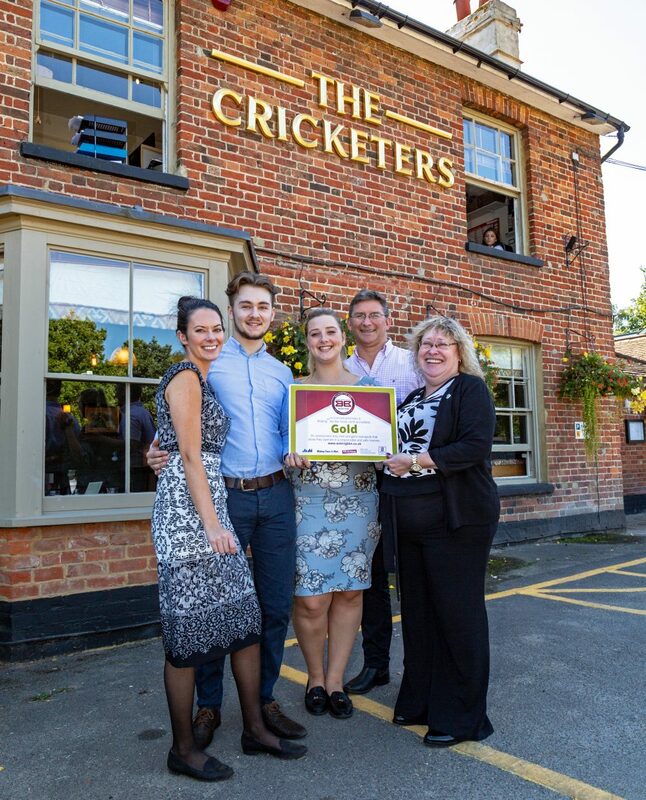 The Cricketers in Horsell, The Ogilvy in Woking town centre, the New Haweli and the Yeoman Harvester, both in West Byfleet, have joined the Slug & Lettuce in the centre of Woking in gaining the highest accreditation. Woking Best Bar None Gold Accreditation for The Cricketers in Horsell. L to R: Laura Watts – General Manager, Luke Bunyan – Supervisor, Charlotte Edwardes – Assistant Manager, Clive Price – Managing Director Barons Pubs Ltd., Cllr Debbie Harlow. BBN assessors rated all five premises highly in: prevention of crime and disorder; public safety; prevention of public nuisance; child protection; social responsibility; and training for staff covering these areas. Charlotte Edwardes, assistant manager at The Cricketers, said the award was “absolutely brilliant” and that the managers and staff were extremely proud to have been given such a prestigious award. Time is running out for your chance to vote for your favourite pubs, bar or restaurants in the Woking News & Mail Peoples’ Choice Award. The deadline is Sunday 30 September. Visit www.wokingbbn.co.uk.